Stepping to the edge of a giant precipice overlooking the medical mayhem and inoculation ineptitudes that have castigated our health and propagated our perceptions — a paralyzing revelation rises to the surface of the ongoing vaccination population reduction program known as immunizations. The H1N1 vaccination is the toxic injection connected to the new spike in the occurrence of Guillain-Barré syndrome, a paralyzing nervous disorder in which the body’s immune system begins to attack itself. A new study out of the Lancet shows conclusive evidence that these cases of Guillain-Barré syndrome have been caused by the 2009 H1N1 Flu vaccination. This isn’t the first time a flu vaccination has been associated with Guillain-Barré syndrome. Back in 1976, the swine flu vaccine caused so many cases of GBS that the Center for Disease ‘Creation and Proliferation’ had been forced to create a page on their website explaining the matter. In 1976 there was a small increased risk of GBS following vaccination with an influenza vaccine made to protect against a swine flu virus. The increased risk was approximately 1 additional case of GBS per 100,000 people who got the swine flu vaccine. This time the number of people poisoned by the toxic brew was 1.6 additional cases of GBS per 1,000,000 people injected with the vaccinators lancet. 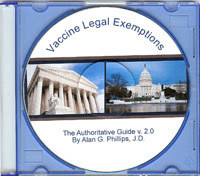 Vaccines have been engineered to create more customers for the pharmacratical dictatorships growing empire. The diagnosis of human has become a commodity with the diseased being the most valuable and the sick being the most traded. The eugenicist’s injections have sped up the timelines of profitability by exacerbating the condition of being alive. These snake oil salesmen with their elixirs of death and disease have been consuming humanity for centuries selling poisons for profits and pills for pain. Backing away from the edge of this nightmarish cataclysm filled with toxic inoculation we can see their end goal is fueled by greed with their lust for money being the only prescription they need. Be the first to comment on "Flu Shot Causing Brain Disorders & Paralysis"